The screaming meemies in the War Party have their undies in a bunch over the prospect of Iran obtaining a nuclear weapon. Israel has over 100 nuclear warheads. The U.S. has thousands of nuclear warheads. 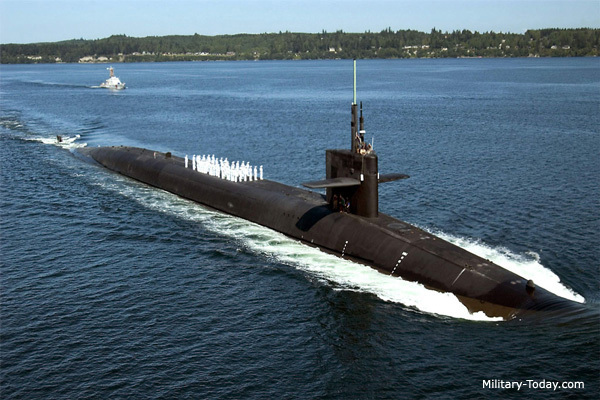 Just one of our Ohio-class submarines can carry 192 nuclear warheads. 192 Irans in one metal tube. Ahmedinejad is a lot of bad things. However, he is not stupid. What do you think the U.S. or Israel would do if he were to attack either of us? I will let this be a rhetorical question. And besides, if he were to nuke Israel, the fallout would kill a lot of his Muslim siblings in Jordan, Lebanon, Syria, Egypt, etc. Hence, Iran doesn’t scare me. 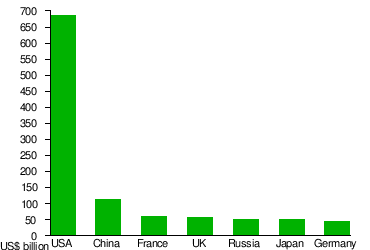 Wikipedia: List of Countries by military expenditure 2010. Iran is 25th on this list, just behind Singapore. It spent about $7 billion on its military in 2010, or just over 1% of what the U.S. spent. 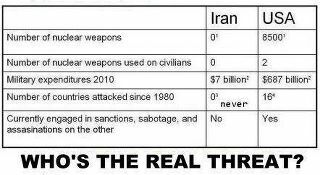 One more time, Iran doesn’t scare me. Military Power in Perspective by Mark D. Fee. Again, Iran doesn’t scare me. My name is Doug Newman. I live in Aurora, Colorado, just outside Denver. Food for the Thinkers is mostly about the connection between Christianity and libertarianism. Most Christians do not understand libertarianism. And most libertarians do not understand Christianity. Hopefully, this blog helps clear up those misunderstanding. Check out my old page at www.thefot.us And remember: When you let people do whatever they want, you get Woodstock. But when you let governments do whatever they want, you get Auschwitz. 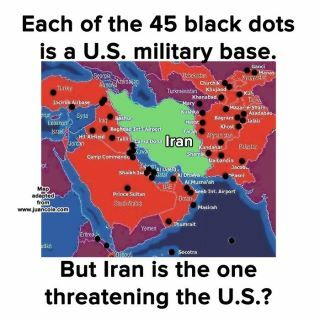 Iran doesn’t scare you because you use logic to form opinions; the warmongers rely on emotionalism and panic reactions to spread their war propaganda. “Why Iran doesn’t scare me” is a very succinct and accurate refutation of the “Iran is the bogeyman” agitprop! Well done, Doug, as usual. And of course Pakistan has nukes too, and they are a far more unstable country that Iran is, but they don’t appear to have any intention of using them.